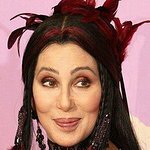 Cher has been busy lately, supporting a charity she co-founded in March that seeks to provide underprivileged Arab-Israeli youth a unique and dynamic pathway to equal opportunity and full participation in the building of future civil society. The singer established the Polyphony Foundation with Palestinian violinist Nabeel Abboud-Ashkar to create programs of education through music to help bridge the divide between Israel’s Arab and Jewish communities, facilitating cultural exchange, dialogue and partnership. The pair founded the charity because they were inspired by the achievements of the Orpheus Foundation-Nazareth and the Barenboim-Said Conservatories, both of which are led by Nabeel Abboud Ashkar. “[Cher] loved hearing the kids, she thought this is a wonderful thing and she appreciated the talent and the commitment the kids have to playing music,” said Nabeel. Find out more about the Polyphony Foundation here.